Did I finish? : I raced through it! 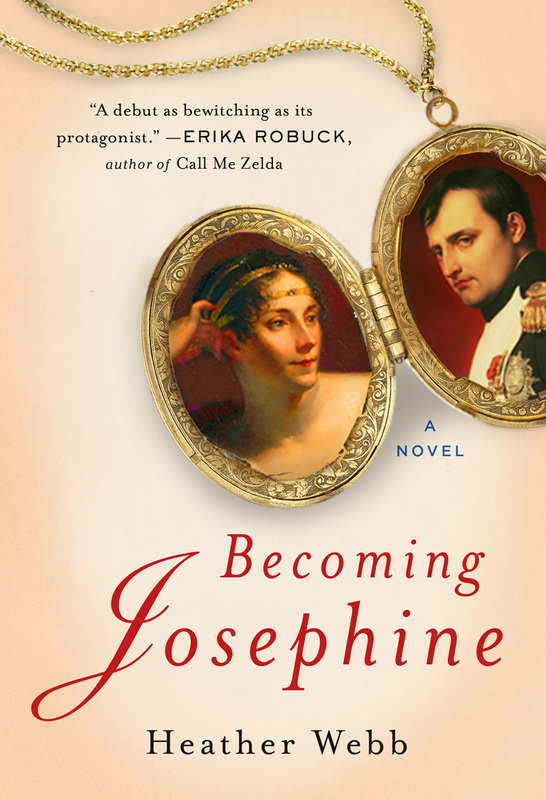 One-sentence summary: The tumultuous, troublesome, sparkling, and charmed life of Josephine Bonaparte. Do I like the cover? : I do -- it's rather eye-catching for a historical novel (no headless woman!). First line: The missive arrived in the night. Buy, Borrow, or Avoid? : Borrow or buy, especially if you're a Francophile. Why did I get this book? : I adore Josephine and I've been eager for this book since meeting Webb at the Historical Novel Society conference last June. Review: One of my all-time favorite trilogies is Sandra Gulland's series about Josephine, which turned me into a full-blown Josephine fangirl. I must confess I started this novel nervously, afraid it wouldn't satisfy. My anxieties were for naught. Webb's Josephine is a fully realized heroine, steely and soft in equal part, a character who grows from a girl to a woman in the course of the novel, and it was a delight being with her. As with my favorite heroines, I miss her now that I'm finished with the novel! Near the end of the novel, Webb's Josephine says, "Who I had become, where I longed to be, eluded me." (p298). It was a line that hit me emotionally; I felt very strongly that I knew who she had become, and yet, I felt acutely her own sense of being unmoored. My only complaint is that I wished the novel was longer; at 300 pages, it reads quickly, and more than once I wished the story could have lingered or delved more deeply into Josephine's life. But then again, I'm rapacious when it comes to Josephine. A wonderful debut, this novel is a marvelous introduction to Josephine and a welcome reunion for those who know her already. Francophiles and fans of royalty fic will want this book as well as anyone who likes a rags-to-riches story. If you want mood and an unforgettable heroine, grab this and book yourself a weekend to read -- you want want to put it down. I'm thrilled to offer a copy of Becoming Josephine to one lucky reader! To enter, fill out this brief form. Open to US and Canadian readers only, ends 1/31. I'm totally unfamiliar with Josephine, actually, so this would probably serve as a wonderful introduction for me. It sounds like an intriguing and satisfying read! Oh, yes! Absolutely!! It's the perfect mix of meaty serious and splashy fun! Didn't you just love it? I did! It was my first Josephine novel and I thought it was fantastic. My fondness for it is growing -- I really do miss her Josephine! You got a wonderful introduction to the woman with this book! I've learned quite a bit about the Revolution over the last few years of reading, but never anything about Josephine so I would love to read this. This is a great one to introduce you to Josephine, too, who is just so fabu! Josephine has always been my favorite historical figure...I fondly remember my report on her for history class in 9th grade...even though I was incredibly terrified of speaking before the class.